Aviation is the term used to describe any flying within in the Earth’s atmosphere. 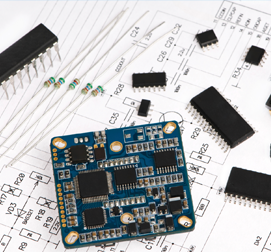 Applications for Electronic Components in Aviation include any electronic systems in any flying aircraft, man or unmanned, in the consumer, commercial, agricultural, military, and industrial industries. Board level components are used in cockpit control, fuel and braking systems, guidance systems, tracking and navigation Systems, weapons systems and audio/visual systems including high definition video cameras in UAVs, display panels, and even flight simulation machines.